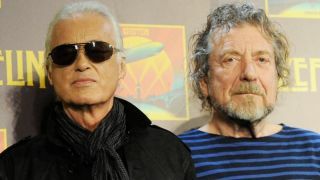 A jury has ruled that Led Zeppelin did not plagiarise the opening chords of Stairway to Heaven from Spirit track Taurus. The jury came to their decision on a second day of deliberations at a Los Angeles courtroom after Judge Gary Klausner had heard heated closing arguments from lawyers representing both parties. Led Zep were accused of having copied Spirit’s Taurus, which was released three years before 1971 anthem Stairway To Heaven. The case centred on the descending chord sequence at the beginning of the Led Zep song. The jury ruled today that Taurus “was not intrinsically similar” to Stairway To Heaven’s opening. Record label Warner add: “At Warner Music Group, supporting our artists and protecting their creative freedom is paramount. We are pleased that the jury found in favour of Led Zeppelin, reaffirming the true origins of Stairway To Heaven. Led Zep frontman Plant and guitarist Page both gave evidence at the trial. Bassist John Paul Jones, whose name was dropped from the case before it began, also gave evidence last week. Malofiy had asked the eight-person jury to grant one-third of the writing credits to the estate of late Spirit guitarist Randy California, who wrote Taurus.